through the rear left side housing door. Table 6. 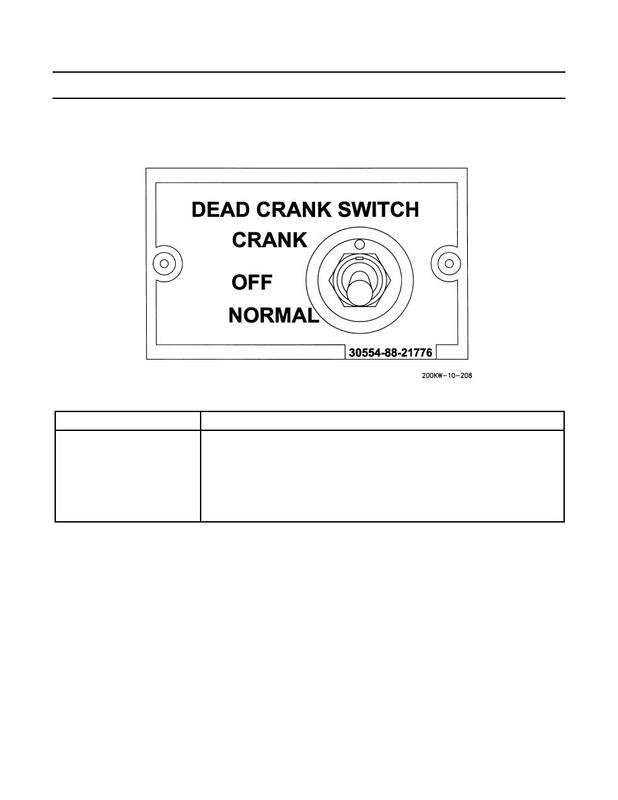 Dead Crank Switch Controls. Center position removes power from GSC, DVR, and Engine Control Module (ECM). Engine will not crank or start.